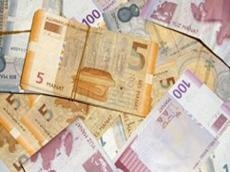 Official exchange rate of the US dollar and euro to Azerbaijani manat for Mar. 30 was set at 1.7238 manats and 1.8536 manats, respectively. Below are the rates of manat against world currencies, according to the data from the Central Bank of Azerbaijan.